WASHBURN COUNTY — The Shell Lake Arts Center is proud to announce that they are the recipient of a $7000 grant through the Green Bay Packers Foundation. 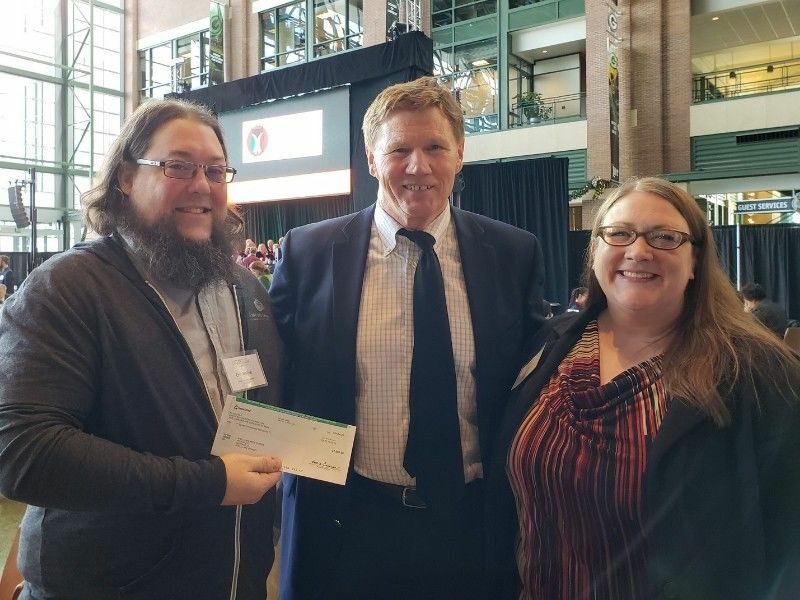 Shell Lake Arts Center’s Associate Director, Carly Moline, and Facility Manager, Eric Moline, were guests at a luncheon in the Lambeau Field Atrium on December 5th. "We're proud to recognize these outstanding recipient organizations, who are all doing incredible work in our communities," Packers President/CEO Mark Murphy said at the event. "As a community-owned team, we are inspired by the efforts of these organizations and the positive impact they have on those communities they serve." According to the Green Bay Packers Foundation website, its annual grants are part of the Green Bay Packers Give Back, the Packers' all-encompassing community outreach initiative that comprises appearances by players, alumni, coaches and staff, youth football outreach camps, cash and in-kind donations, Make-A-Wish visit and community events. During this grant cycle, one of the Foundation's focuses was on organizations who direct their funds to arts and culture, which matched perfectly with the Shell Lake Arts Center's mission to provide quality creative arts education and enrichment experiences for a diverse population of youth and adult learners. For more information about the grant cycles, please visit www.packers.com/community/packers-foundation. For over 50 years, the Arts Center has been hosting summer camps in music, visual arts and theatre with master instructors for youth ages 12-18 as well as adult programming, and is home to the longest-running jazz camp in the nation. If you would like more information about programs at the Shell Lake Arts Center, or how you can donate, please visit their website at www.shelllakeartscenter.org, or call the office at 715-468-2414.